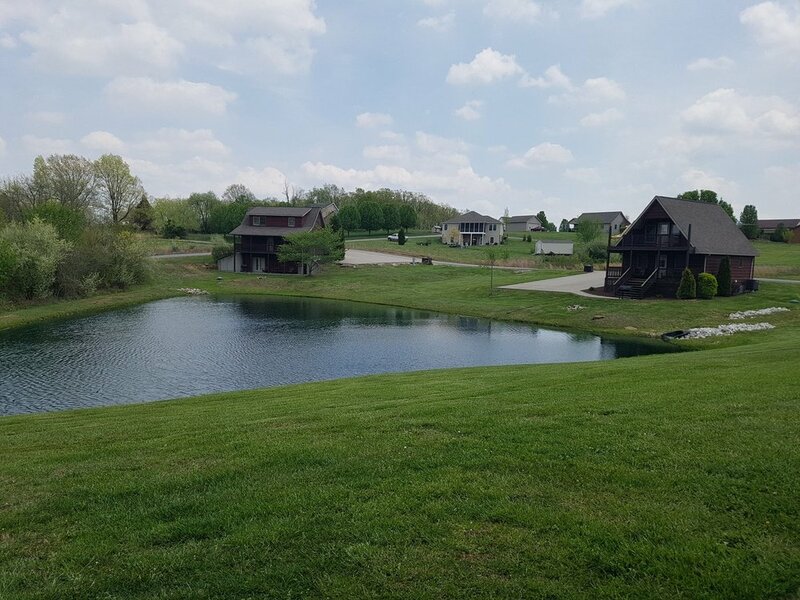 Check in at Patoka Station which is located right before the Newton Stewart main entrance to Patoka Lake. Angler's Inn Cabin is across the street. 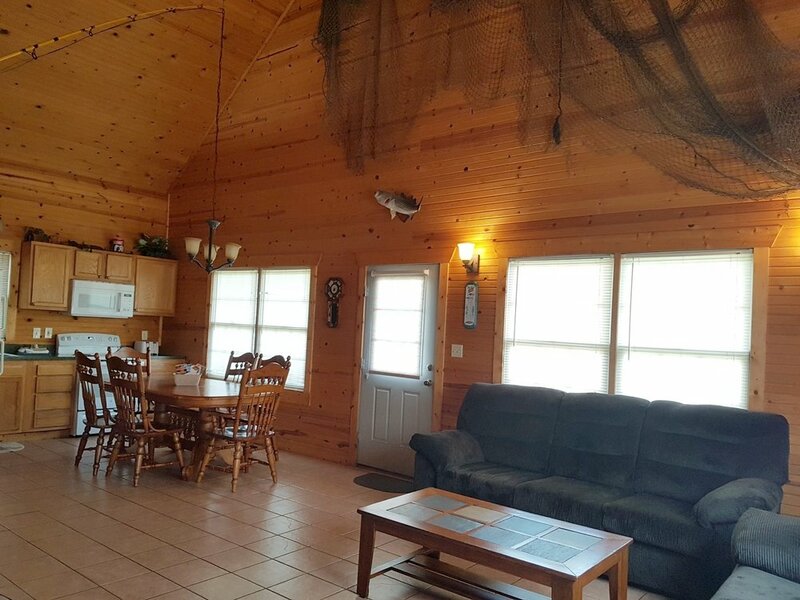 Angler's Inn Cabin is located on a 1 acre pond. 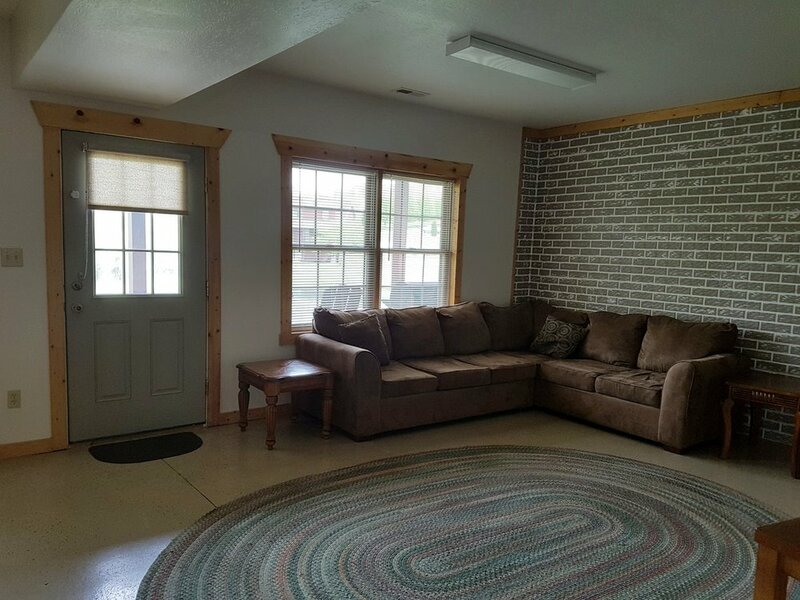 It is one of 4 of our modern cabins with a rustic feel. Each has everything you need to feel right at home. Stay midweek to save money or stay a week and save even more (see special deals). 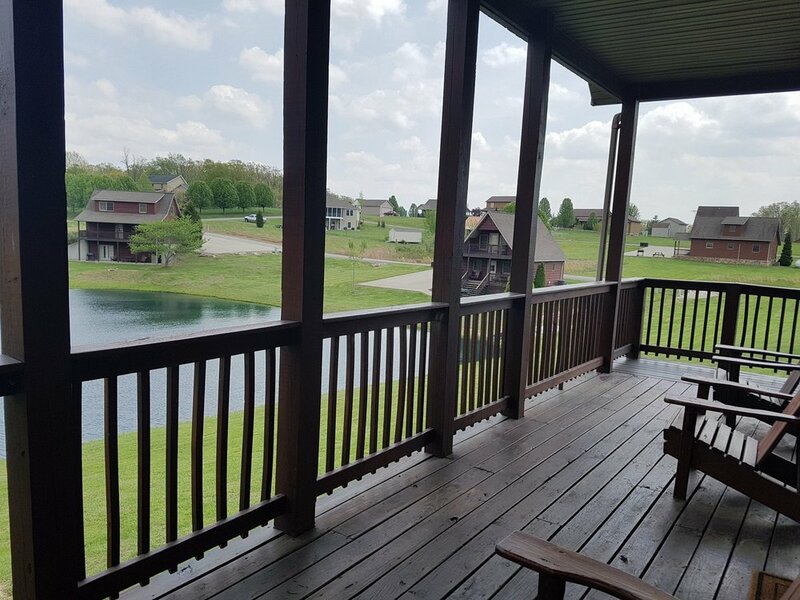 The main (middle) floor features a large covered porch with a nice view of the pond. The living area, dining area, and kitchen are all open to each other. The Angler’s Inn has an open floorplan. 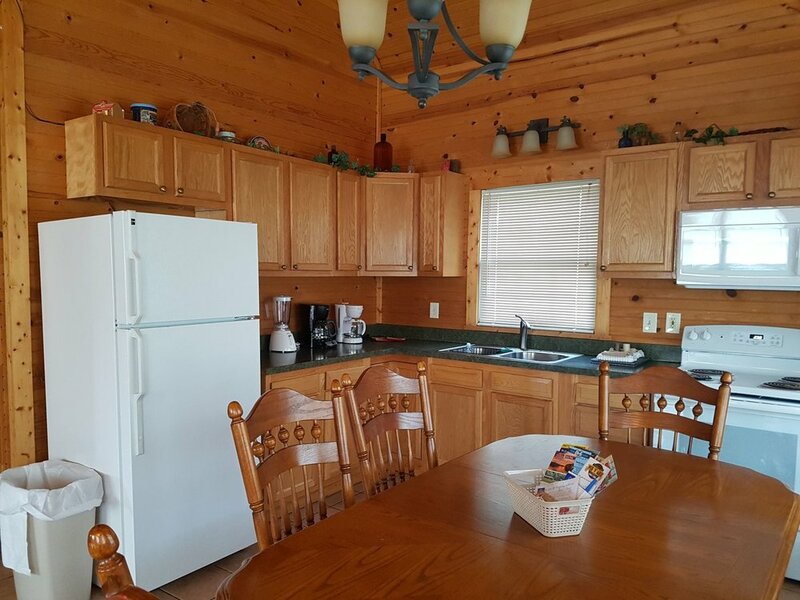 Fully equipped with all cookware, dinnerware, and utensils. 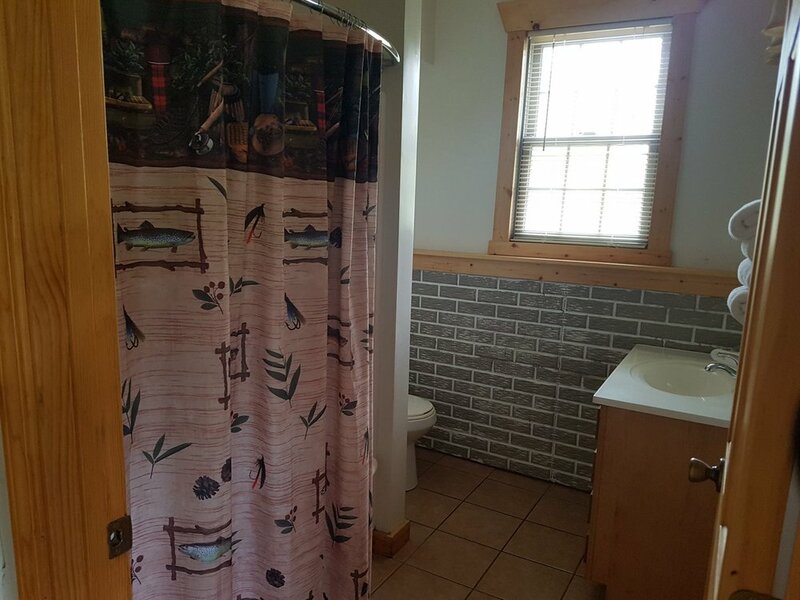 There is a full bathroom with shower/tub combo on the main (middle) floor. There are 2 bedrooms like this on the main (middle) floor, each with a Queen bed. 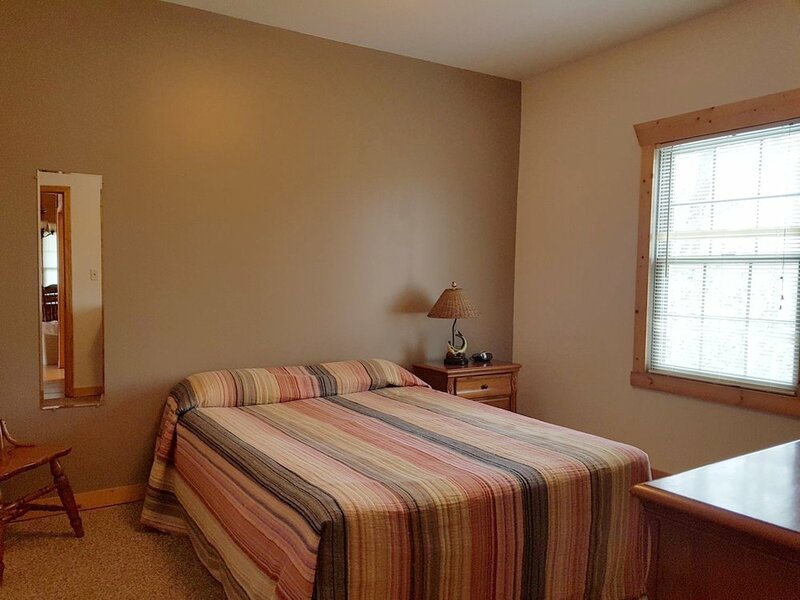 One bedroom upstairs with a Queen bed, TV, and DVD player. The bottom floor opens to a large porch. 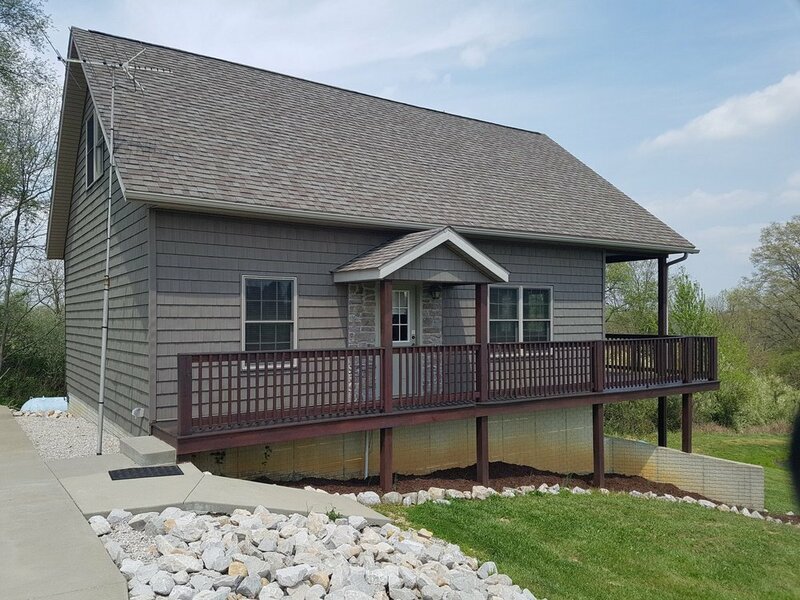 The bottom level has a living room with a door that opens to a large porch overlooking the pond. 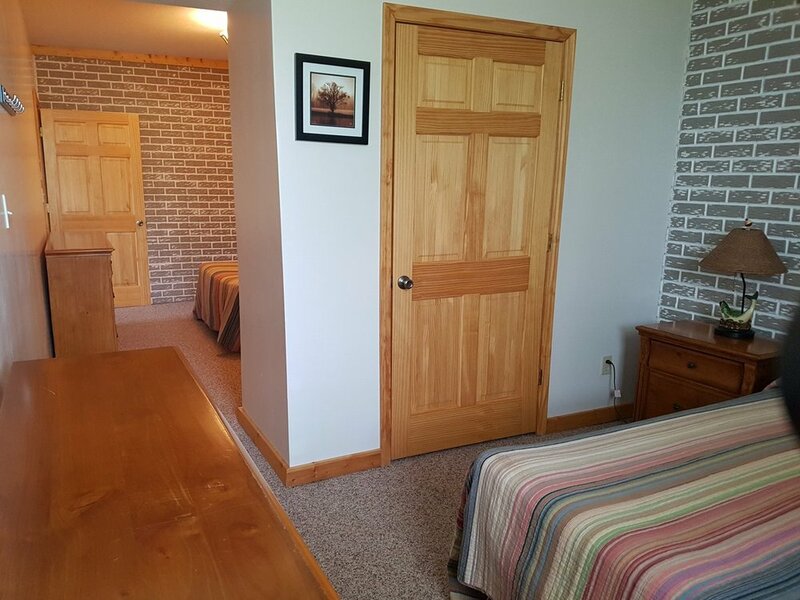 On the bottom level there is one bedroom with 2 queen beds and a dividing wall. 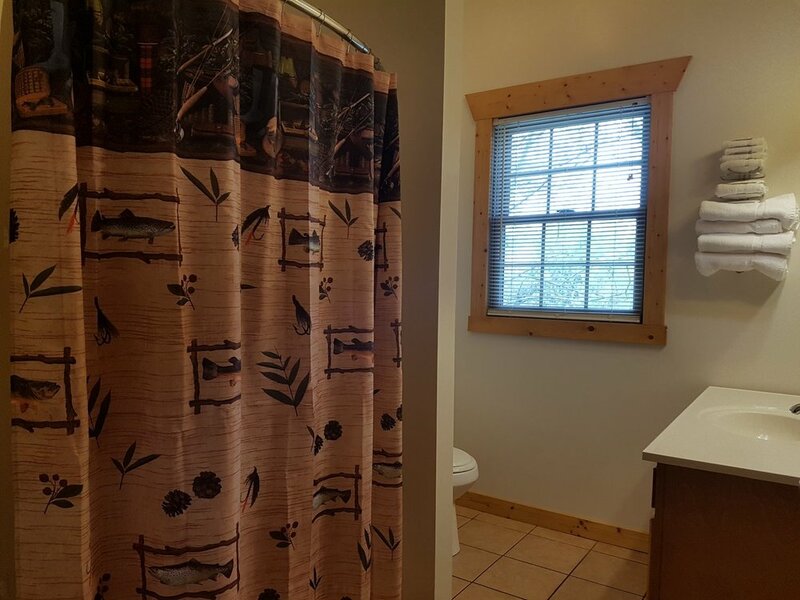 Second full bathroom with shower/tub combo on the bottom floor. Try your luck at the little pond. Perfect place to be outdoors together.